Example of Procedural Planet generation? Does any one have share-able example of "Procedural Planet" generation script (pref. C#) or anything explains how game makers simulate "endless" space environment? I want to toy with this technique to learn something new. This is an extremely broad topic. I doubt it that anyone would have a script (probably more than 1) to share. 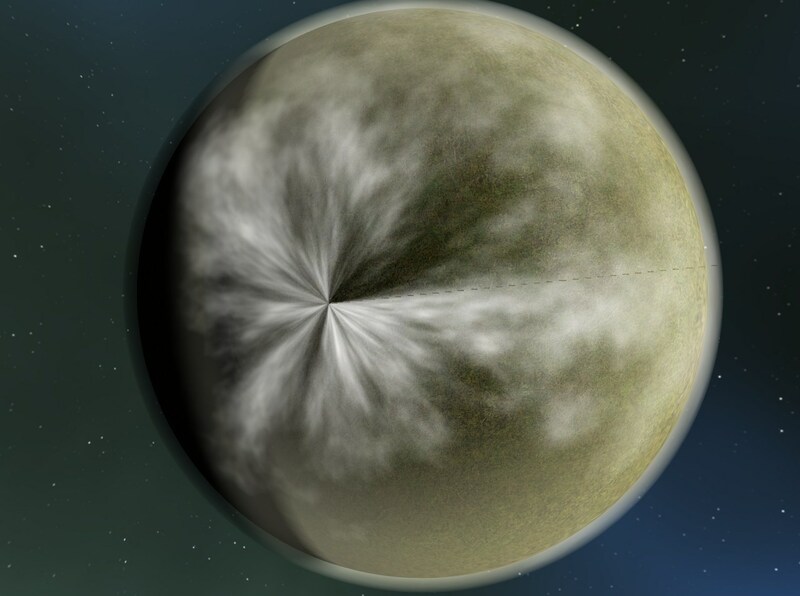 Generating planets would be more complex than just generating terrain since the planets are round. Firstly you would have to generate the planets themselves, then the terrain on the planet using perlin noise or some other algorithm, then textures, then LOD Models, then occlusion culling of some sort and this and that. If you like coding and all that comes with it I suggest you look around and get familiar with the concepts like instantiating objects, generating terrain and maybe clouds. Take it one thing at a time and you won't get too overwhelmed. Focus on the task at hand. well.. lets see.. i have done this sort of thinng before..
i used fbm for generating height map on the fly, used spherical harmonics to get the map to look correct at the poles, and used geoclipmapping to dothe planet.. now, when i added streets and such i used l-systems. details.. i generated several textures for the planets, 1 for height, 1 for diffuse, 1 for normals, then some via masks for roads..
geoclipmapping, i tried to do spherical geo clipmapping, but that was a bit over my head and just couldn't get it to work. what this does is take a center point that is under your camera and make it maximum detail, then at a specific distance you have another level that is less detail which merges with the points from full detail section. you do this for 5 or so levels each with progressively less detail until you hit a flat surface. now the terrain data is stored in a toroidal array, which means you move all the verts / faces, NOT the camera (called camera space). *   This class is used to build a planet based on perlin noise. /// with the specified size and tessellation level. /// sure all states are set to sensible values before you call it. //Set renderstates for opaque rendering. // Draw the model. A model can have multiple meshes, so loop. // Draw the mesh, using the effect set above. Hopefully this is more useful for you, and good luck!